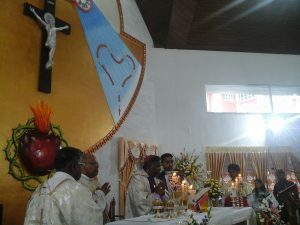 The WE SHARE program was started in 1994 to help the Vijayapuram Diocese - the poorest Catholic Diocese in Kerala, India. 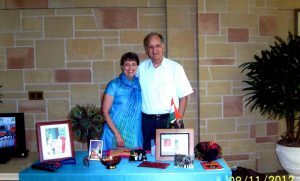 It was the response of Kathy and Dave Rennie seeing the poor in India firsthand when living there. India law denies government benefits to poor Christians. India has no welfare or food shelves. The people are dependent on the Church when they become desperate. And if they become too desperate and cannot survive on the finances they have, it is a temptation for them to revert back to Hinduism where they can receive government benefits. Poor people cannot afford medical insurance so they have to pay for all medical problems plus any medication. Poor workers usually only get a few dollars a day. Many do coolie work which is day labor. However, many cannot work due to high unemployment, sickness or the monsoon season. The monsoon season (normally June through August) also destroys poorly built huts and homes and reduces food supplies. It is also costly for the poor children to attend school because they need to pay for books, uniforms and other fees. All donations to the WE SHARE program are tax deductible and 100% of the donation is sent to India. 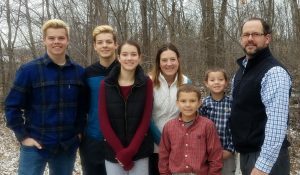 Tribute to my mother who started the WE SHARE Program. see this article written about Rose Mayer. This is a tribute to my mother (Rose Mayer) who I feel started the WE SHARE program. 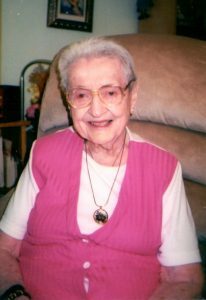 She was widowed at an early age and had to raise me - her only child. 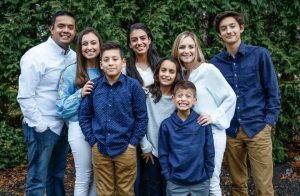 Even though this situation provided many challenges, she felt it important to support the Priesthood through sponsoring a Seminarian in India. This also was a way for her to have a spiritual son. So, in the 70's, she started sponsoring Fr. Sebastian Thekethecheril from Kerala, India. He became a Priest in 1980. 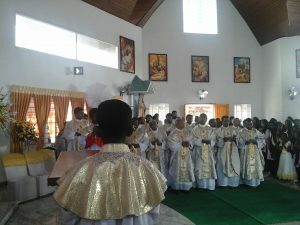 After his Ordination, he was assigned as the Secretary to the Bishop. Then he was sent to Rome to get his Doctorate in Canon Law. After completing his education, he went back to India to become the Director of Social Service for 10 years. 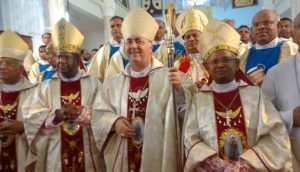 Then he became the Vicar General of the Diocese before Pope Benedict appointed him the Bishop of Vijayapuram Diocese on July 2, 2006. Throughout all these years, my mother wrote to him establishing a relationship and supporting him in his vocation. He became a part of our family this way and even came to visit my mother. During these years, my family also got to know him very well. 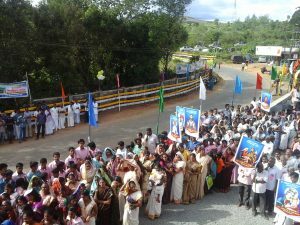 Because of the circumstances of our life of adopting two children from India and living in India for several years, we also came to know the poverty of India and especially the poorest diocese in Kerala - Vijayapuram diocese. Because of seeing this poverty and knowing Father/Bishop Sebastian, we were led to start the WE SHARE program. But, we would like to give the credit to my mother who initiated the contact with India and sponsored a Priest. Because of these circumstances, I feel the WE SHARE program was started in a providential way. If you are sponsoring a Seminarian, we urge you to develop a relationship with him. It will make your sponsoring time more meaningful for you and your Seminarian. And - you never know what will happen. 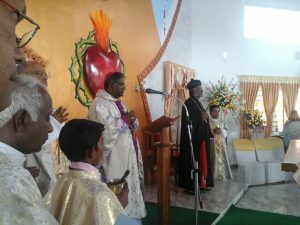 My mother's Seminarian became a Bishop! 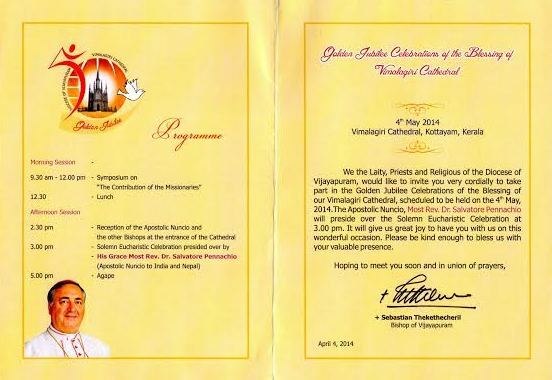 We Share Program is under the Vijayapuram Diocese - Kottayam, Kerala, India. 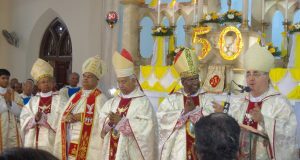 Bishop Sebastian Thekethecheril is the Bishop of Vijayapuram Diocese - Shown here with Pope Francis in November, 2013. 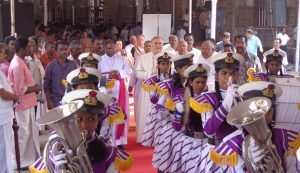 The Vijayapuram Diocese was started by the Spanish Carmelites in 1930 from the missionary activity of St. Francis Xavier. 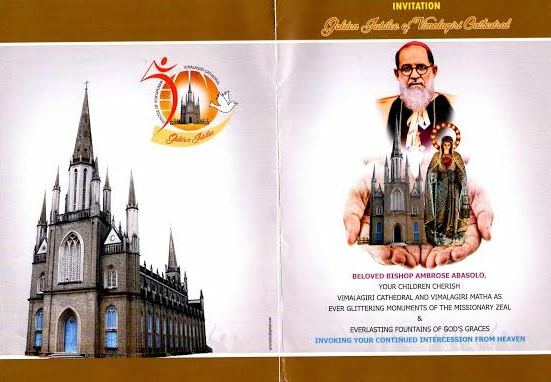 It was started as a mission diocese to work with the untouchable and low caste Hindu converts. Because of the caste system, evangelization of the poor Hindus was not done by the early missionary efforts of the Syrian Eastern Rite Christians and they only evangelized the wealthy high caste people. St. Francis Xavier 's mission was to help the poorest of the caste system through the Western Latin church that he brought to Asia. 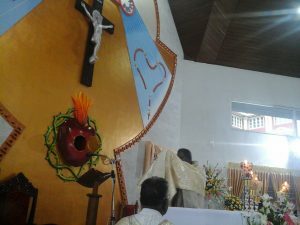 Therefore the Western Latin Rite church is the poorest in India. Recorded on 9/29/2015 - The Ed Morrissey Show. 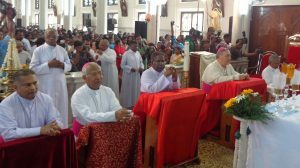 Interview with Bishop Sebastian and We Share Director, Kathy Rennie.